Leap for Lupus | Skydive for a Cure! this year! Check out their web page and start making your plans for the boogie! People are starting to make their Leaps! 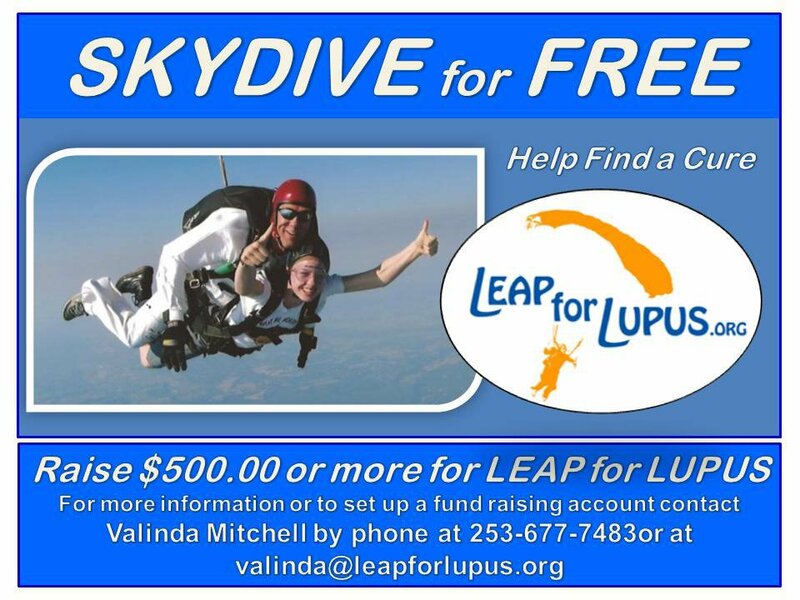 If you’d like to make your own Free Tandem Skydive and help find a cure for Lupus contact valinda@leapforlupus.org to find out how! 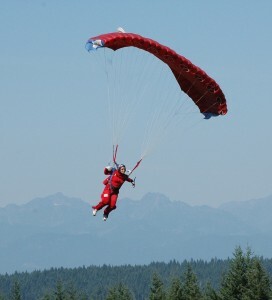 Here’s Val making her 2nd Free Skydive. Yes that’s right! You can do it as many times as you want! 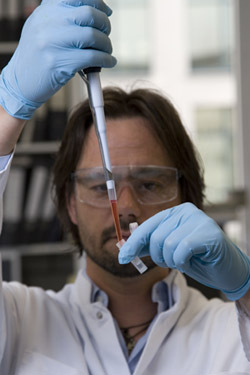 The Leap for Lupus Foundation is dedicated to funding medical research into the causes of and treatments for Lupus. We are a self funded foundation run by volunteers. 100% of all donations goes to the University of Washington Lupus research department where they are making great strides in lupus research. $25,000 was gifted to the UW Rheumatology department for the 2014 fundraising year. 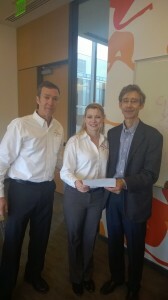 Thanks to everyone who supported us in this endeavor! We couldn’t do it without you! The 2014 Leap for Lupus event was a great success. Thanks to everyone that came to participate this year! Thanks to Kapowsin Air Sports, iFly and Red Bull! 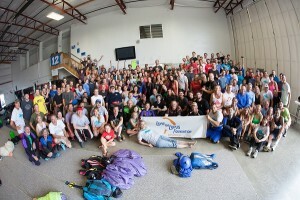 We had a record number of people this year! The Tacoma News Tribune and The Olympian and the Bellingham Herald ran news articles on the Leap for Lupus recently. Check it out! 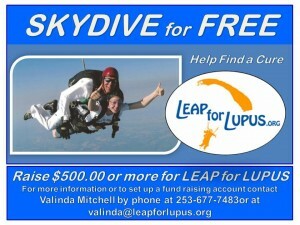 We use skydiving to gain attention to, and help find a cure for lupus. You can make a skydive and help find a cure! Attend our Event August 16th or just donate! Hopefully soon, with your help, we’ll find a cure for so many people that live with lupus every day.